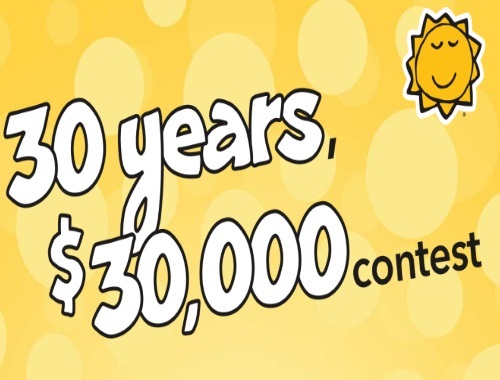 Coras is celebrating 30 years of delicious times together! They are giving away a $1000 Cora gift card everyday for 30 days until July 18 2017. Submit the unique code on your bill by filling out the entry ballot below and you’ll be entered in the following day’s draw. For each unique code submitted, scratch to discover a surprise: a smoothie, fruit cocktail or specialty coffee cup to savour during your next visit to Cora. Contest closes July 18 2017.